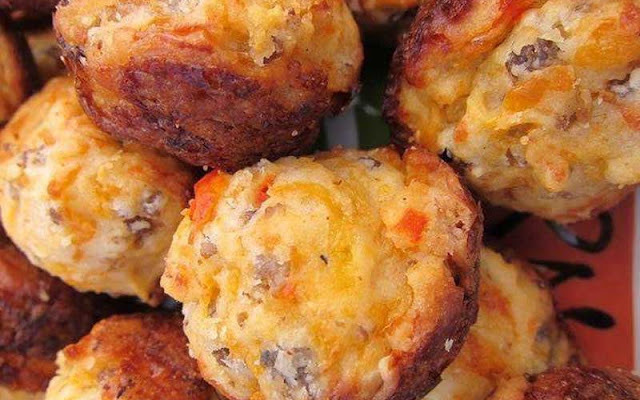 We have a recipe for Cream Cheese Sausage Balls, which are great for an early day game, as well as a recipe for Mini Muffulettas, which are a perfect afternoon snack. For those hot Louisiana game days, we have a recipe for a refreshing Blueberry Lemonade. Happy tailgating! Preheat oven to 400°F. Mix all ingredients until well combined then roll into 1-inch balls. Bake for 20-25 minutes, or until brown. Heat the oven to 350°F. Lay out the bottoms and tops of the buns. Spread an equal amount of olive salad onto each half. 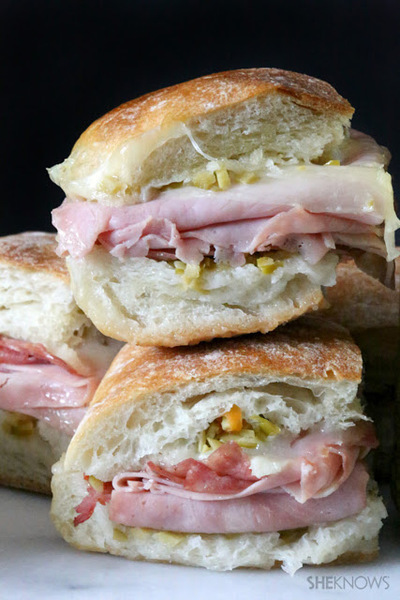 Add ham, salami and provolone cheese to the bottom half of each bun. Wrap each sandwich in foil. Add the sandwiches to the oven and bake for about 15 minutes, until warmed and the cheese has melted. Serve warm. Makes 8 servings. In a medium-size saucepan on medium-low heat, stir blueberries and sugar together and allow the berries to cook down and start releasing their juices, about 5 minutes. Stir frequently. Once blueberries have released a good bit of juice, mash them down and cook for another 5 minutes. Mash one last time and then strain blueberry syrup into a large measuring cup and set aside to cool down completely. This syrup can be made in advance and refrigerated if needed. Squeeze all of your lemons into a large measuring cup or bowl. You should wind up with about 2 cups of lemon juice. Straining your lemon juice if desired. Pour lemon juice and water into a large pitcher along with blueberry syrup and stir. In a small saucepan, whisk sugar and water together until all sugar is dissolved. 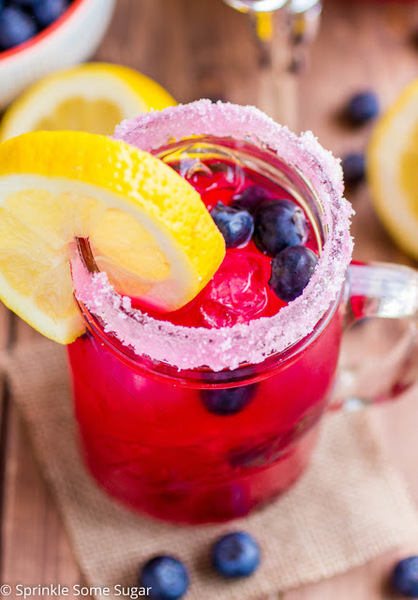 Gradually add the simple syrup to your blueberry lemonade until it is sweetened to your liking. 1/2-3/4 cup is typical. Serve over ice with additional blueberries for garnish. For a grown-up version of this Blueberry Lemonade, add 1 1/2 cups of vodka.